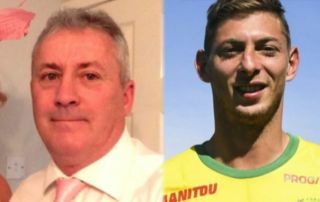 The wreckage of the plane carrying Emiliano Sala and pilot David Ibbotson is reportedly thought to have been located at last in the English channel. The BBC report that investigators are due to take a closer look at the wreckage on Monday, but that the families of Sala and Ibbotson have been informed of their findings. Argentine forward Sala had only just joined Cardiff City from Ligue 1 side Nantes, before this terrible tragedy occurred late on in the January transfer window. The 28-year-old had been travelling from France to the UK before the flight went missing, with the worst immediately feared and the search for the plane initially called off quite quickly due to the low chances of finding anyone alive. Sala’s family and others in the footballing world had called for the search to go on, with donations being made towards the cause, as reported by the Independent. It now at least looks like the families of those involved have some closure, but this is truly one of the saddest stories of recent times in football.